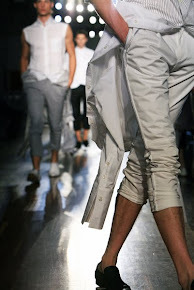 Last Saturday Vassilios Kostetsos presented his spring-summer 2012 collection at Technopolis in Athens as you could read in my previous post on women and men's wear. 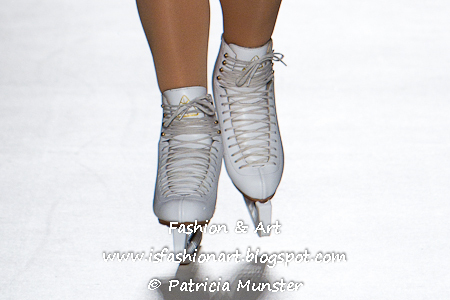 Also he asked some colleagues of the Ant1 TV-show 'Dancing on Ice' to participate in his fashion show. 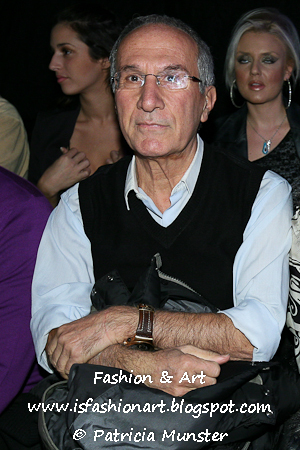 ﻿ Greek Celebrities like Penelopi Anastasopoulou, Stamatina Tsimtsili, Christina Pappa, Shaya, Konstantinos Christoforou, Maria Eleni Lykourezou, Kostas Fragkolias, George Xeimonetos, Themis Georgantas, Marianna Kallergi, Ioanna Pilichou and fashion designer Vassilios Kostetsos will perform at Dancing on Ice. Alexis Kostalas, Petros Kostopoulous and Elena Paparizou will be the judge and Jenny Balatsinou is the presentator of the show. So don't miss the premiere tonight at 21:00 at Ant1 (Greek National TV).